Imagine having your prom date lined up and your dress ready to go, only for your beau to cancel on you. Not exactly the classic rom-com prom we all hope for. Unfortunately for Audeva Agyeman, that’s exactly what happened. 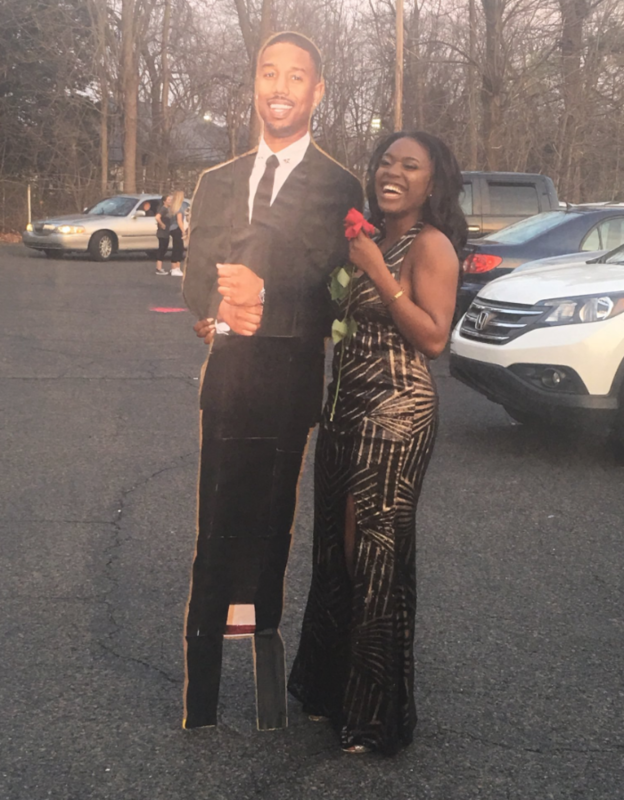 But, when her long-distance boyfriend canceled on her last-minute for prom, she decided to improvise. 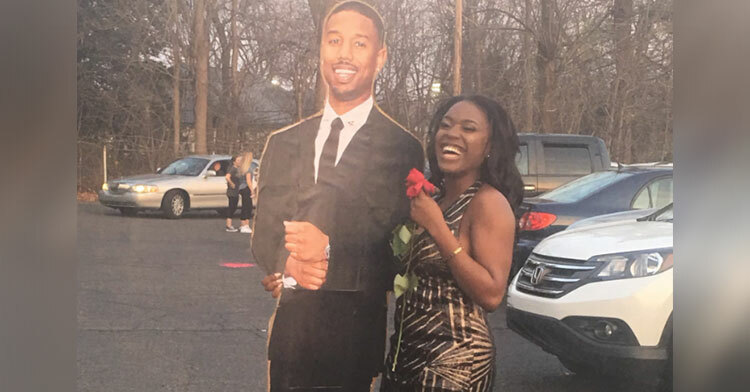 Audeva didn’t have enough time to secure a backup date, so she did what any fan-girl would do… and made a life-size cutout of actor Michael B. Jordan to bring as her date. 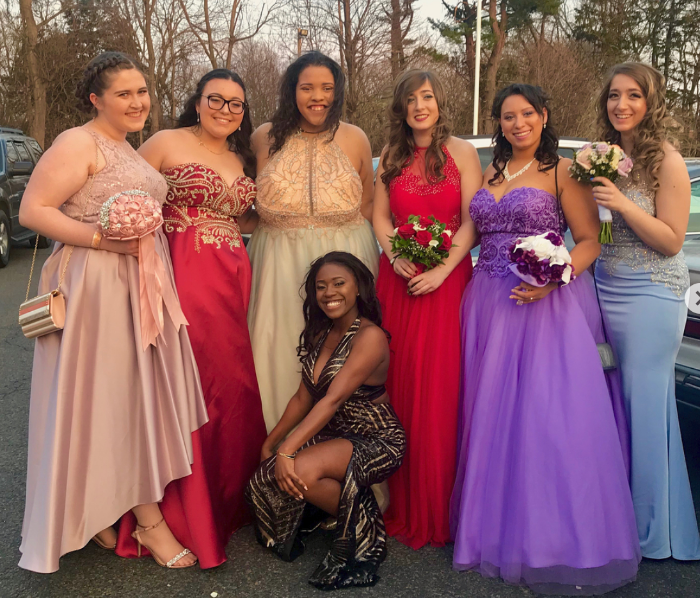 Of course, did prom even happen if you don’t share photos from the day? Audeva would probably argue no, so she posted photos and videos of her date on social media, making sure to tag the superstar on the off chance he would take notice. A social media shout-out from a celebrity crush is basically every girl’s dream, so Audeva was content with just that. 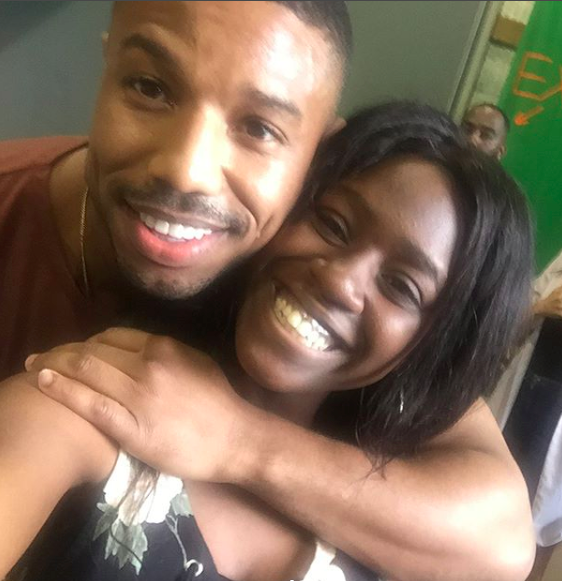 But, when she was invited to the set of “Creed 2,” the movie Jordan is currently filming, she was pleasantly surprised and happy to just the chance to see where her “prom date” was working. 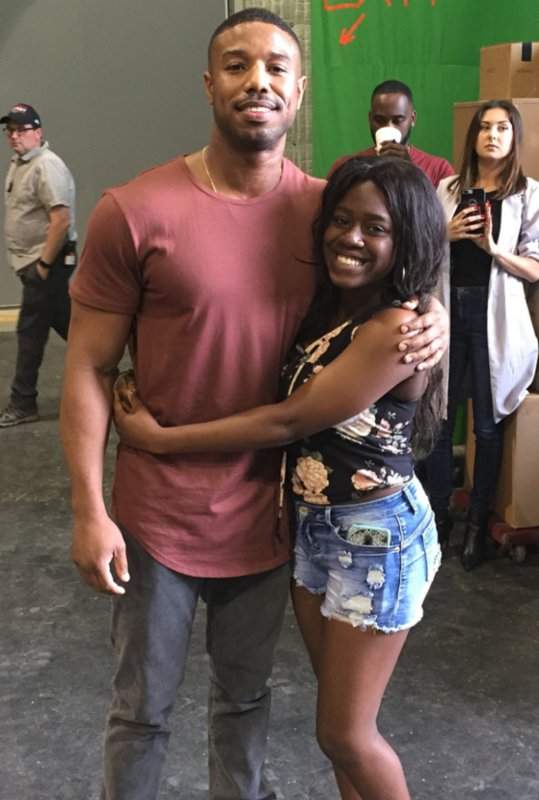 Jordan, however, decided he needed to do a little extra for this fan — given she went above and beyond for him. So, he planned to surprise her during her visit! Jordan had a team filming what Audeva thought was just an interview when he casually stood behind her. She turned around and was in total disbelief. After the initial shock wore off, Audeva got to chat with Jordan briefly before he had to get back to work. The brief conversation was more than enough for the super-fan, though. 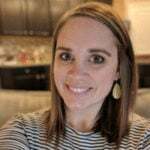 She said she “barely comprehended” their talk because she was “drawing blanks staring at him” (we would, too!). 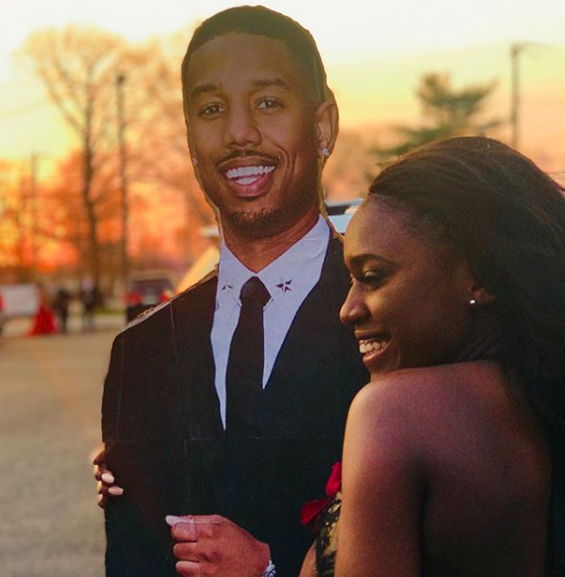 Something tells us that Agyeman isn’t crying too hard over her boyfriend bailing on prom — in fact, he’s probably kicking himself right about now. Watch Jordan surprise Audeva in the video below, her reaction is incredible, and don’t forget to share!